Did Dr. Zizmor Actually Retire? 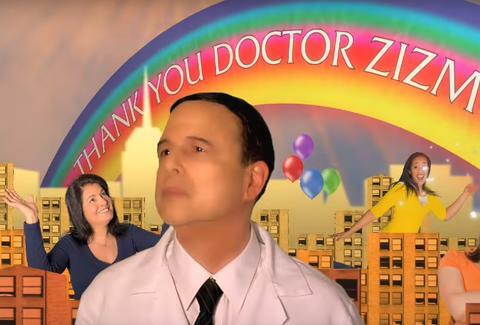 Dr. Zizmor and his colorful subway ads may now just be a colorful memory, as all rainbow roads point to his retirement. The New York Daily News reported that pseudo-NYC-celebrity and dermatologist, Dr. Jonathan Zizmor, has retired. According to the NYDN story, Zizmor's Manhattan office is closed. His realtor, Sandra Waibel is quoted as saying, "The Zizmors love to travel and have many social interests, hobbies, and friends," which implies the good doctor may be currently enjoying not work, but hobbies and friends. It also points to his potential retirement, and his home in the Bronx is up for sale once again. Separate reporting by Thrillist shows that Zizmor's contact info was removed from Zocdoc, even on the backend of the site. In addition, he has not renewed his medical license for this year. If it's all true, it's time to say thank you. It's also time to find another dermatologist whose name doesn't sound like, "zits more." Sigh. Kara King is a News Writer for Thrillist and wants to say thank you Dr. Zizmor. Send news tips to news@thrillist.com and follow her at @karatillie.